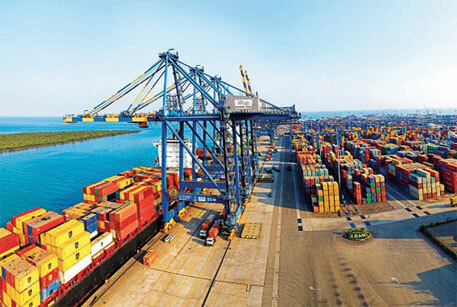 Jayanthi Natarajan, the Union Minister of Environment and Forests, has accepted the recommendations of the ministry’s committee for inspection of Adani Port and SEZ Limited in Mundra, Gujarat. The five-member committee, headed by Sunita Narain, director general of Delhi-based non-profit Centre for Science and Environment, was set up in September last year to inspect the contentious port and the special economic zone (SEZ) project (Narain is also the editor of this magazine). The committee presented its report to the minister in April this year. Although the official order is not yet available, a Ministry of Environment and Forests (MoEF) official confirms, “The minister has accepted the report and we are now working on show cause notices based on the recommendations.” The report had put forth clear evidence of a number of violations of environmental clearances. Blocking of creeks in the region and clearing of mangroves without permission are the most important ones. The report also stated that the Adani group has not been serious about reporting on compliance with conditions of clearance. One of the key recommendations of the report was setting up of an environment restoration fund for the region to act as a deterrent for further non-compliance and violation by Adani Group. The committee recommended the fund be one per cent of the total project cost or Rs 200 crore, whichever is higher. It was suggested that the fund, to be set up under the Secretary, MoEF, be used specifically for remediation of environmental damage in Mundra and for strengthening regulatory and monitoring systems. Another key recommendation was the cancellation of environmental clearance granted to the proposed north port of the company. Flanked by the Bocha island (mangrove conservation area), this port received environmental clearance in January 2009 under the company’s waterfront development plan. The committee stated that the mangrove was a contiguous patch with the island till 2005, but not anymore. Hence, the clearance for north port should be canceled and the area be restored to its pre-2005 status and declared a conservation zone. Kanchi Kohli, an independent activist working in the area, welcomes the MoEF decision to accept the recommendations. “The report has some strong and important recommendations on crucial regulatory and monitoring aspects. For instance, no further clearance till a carrying capacity study in the region is carried out or the one on the cancellation of north port clearance,”says Kohli. The report also suggests the firm think about voluntarily returning grazing land to villages. The issue of Coastal Regulation Zone (CRZ) violation by the Samundra township and Sterling hospital, too, was analysed by the report. In 2010, an MoEF team had inspected the CRZ violation case after a complaint from MASS and presented its report, based on which a show cause notice was issued by MoEF to the state government and the company. It is pending. The committee report suggests this matter be taken up urgently with the Gujarat Coastal Zone Management Authority for review and reassessment by a joint team. The report has suggested some important reforms in the CRZ regulation as well. It remains to be seen if these have also been accepted by the minister. Other issues discussed in the report include fly-ash utilisation by the firm’s thermal power plant and increasing salinity in the area due to the project. “We have not received any official communication from the ministry on the report yet. Once we do we will release our official position,” says Malay Mahadevia, director, Adani Ports and SEZ Limited.